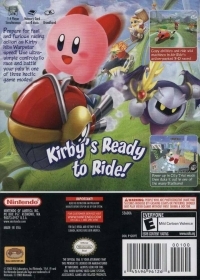 Box Text: Kirby's Ready to Ride! Prepare for fast and furious racing action as Kirby hits Warpstar speed! Use ultra simple controls to race and battle your pals in one of three hectic game modes! • Copy abilities and ride wild machines in Air Ride’s action-packed 3-D races! • Power up in City Trial mode then duke it out in one of the many Stadiums! 02-01-2019 silverbow Box Text Kirby's Ready to Ride! Prepare for fast and furious racing action as Kirby hits Warpstar speed! Use ultra simple controls to race and battle your pals in one of three hectic game modes! • Copy abilities and ride wild machines in Air Ride’s action-packed 3-D races! • Power up in City Trial mode then duke it out in one of the many Stadiums! Kirby's Ready to Ride! 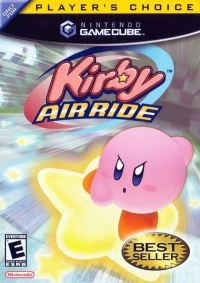 This is a list of VGCollect users who have Kirby Air Ride - Player's Choice in their Collection. 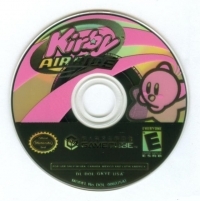 This is a list of VGCollect users who have Kirby Air Ride - Player's Choice in their Sell List. This is a list of VGCollect users who have Kirby Air Ride - Player's Choice in their Wish List.